Features: Italian leather Classic Shoulder Bag by I Medici Firenze present the historical I Medici logo outside. The interior is a large single clasp main compartment; organizing its space is simple and nice with its small zippered pocket and with cell phone slot. A large zippered back pocket is also provided to keep things separated as needed and complete the useful structure of this Italian leather bag for woman. 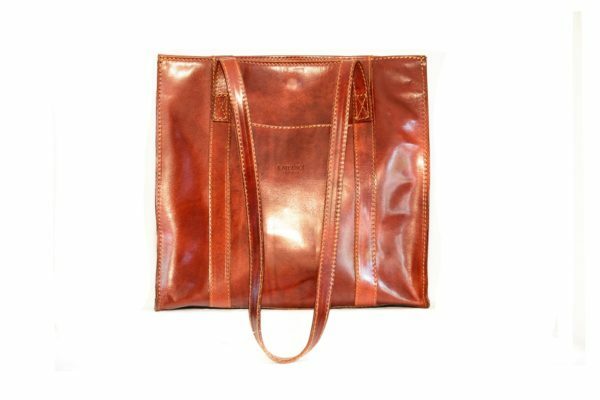 Ideal for carrying books or even a small laptop, this bag is versatile, tough and perfect for the on-the-go and fashion discerning woman. The I Medici Classic IM2400 is a spacious bag very simple and elegant, the real solution for day bay day life of a active woman. It can be used everywhere: beach, work or free time! Do You want to be easy? Classic is for you! 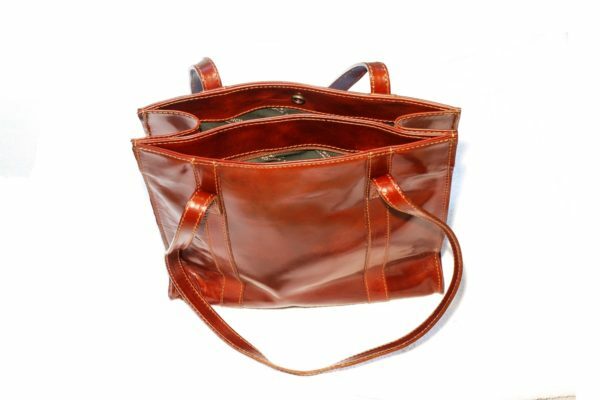 As you can see the square outline is firm and rugged, at the same time the vegetable tanned Italian leather with its great quality also adds a plush slenderness to the overall layout of the bag, that now is not a simple bag, is Italian design for your all days activities. 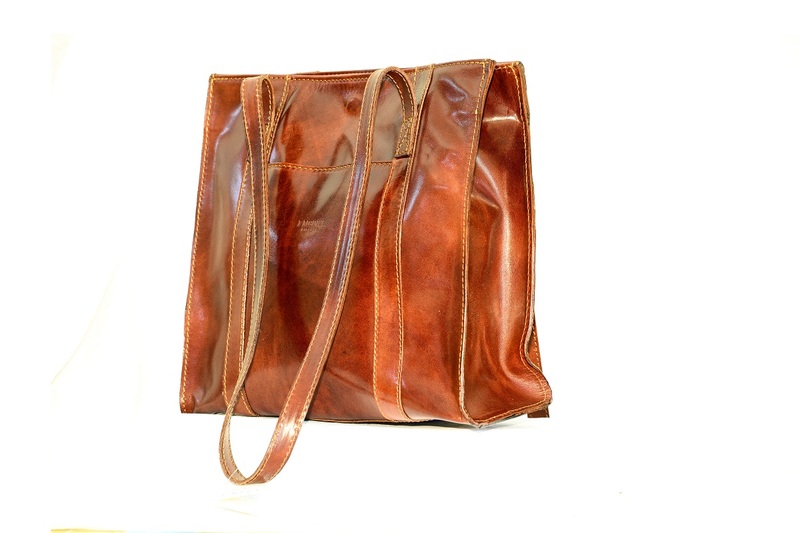 Skillfully and beautifully stitched, this bag is set to handle life with class and refinement that is your lifestyle. Equipped with a single gusset offers additional structure while the outside slim open pocket is perfect for those easy grab items. You will forget the typical internal caos of your previous bags, this durable and beautiful leather bag will show you a new way to live with your day by day companion.